Construction crews at Austin High School spent much of the summer working to complete demolition, abatement, and underground site work in preparation for the start of construction on their new building. While significant progress was made, the project encountered some hurdles. City of Houston permitting procedures changed and now require additional documents and information to be submitted. Additionally, asbestos removal took longer than anticipated. This entry was posted in 2012 bond, Building Updates, Business Operations, District VIII - Diana Dávila, High Schools and tagged 2012 bond, Austin HS on October 23, 2018 by HISD Communications. Demolition is underway at Austin High School, where crews are working to bring down the back section of the building along South Lockwood Drive, making way for a new $79.6 million campus. This entry was posted in 2012 bond, 21st century schools, Business Operations, District VIII - Diana Dávila, High Schools, New schools, News and tagged 2012 bond, Austin HS, Build HISD on May 10, 2018 by HISD Communications. Austin High School students and staff began the spring semester on Monday in a temporary campus in preparation for the start of construction on their new building. The new Temporary Learning Center — dubbed by school officials as the “TLC” and made up of temporary buildings — was built to ensure student and staff safety during construction. It is located along South Lockwood Drive, directly behind the existing school building. This entry was posted in 2012 bond, 21st century schools, District VIII - Diana Dávila, High Schools, New schools and tagged 2012 bond, Austin High School, Austin HS, Build HISD, BuildHISD, Building Excellence, Diana Davila, high school rebuilds, new schools, rebuild high schools on January 9, 2018 by HISD Communications. Students, faculty, and community members gathered Tuesday in the Austin High School auditorium to learn about the construction plan for their new facility, as well as the logistics of their relocation to a temporary campus. Austin High School is being re-built as part of HISD’s voter-approved 2012 Bond Program. The $79.6 million project calls for a new facility that accommodates 1,800 to 2,000 students and preserves the architecturally significant structure of the current building. To accommodate construction and ensure safety, students and staff will relocate to a temporary campus — made up of 15 temporary buildings offering all of the school’s current academic and athletic programs — along S. Lockwood Drive. Students will report to the temporary campus, which is directly behind the current school, when they return from winter break on Jan. 8. This entry was posted in 2012 bond, 21st century schools, District VIII - Diana Dávila, High Schools, New schools and tagged 2012 bond, Austin High School, Austin HS, Diana Davila on December 13, 2017 by HISD Communications. Austin High School students and staff will relocate in January to a temporary campus in preparation for the start of construction on their new building. Construction of the Temporary Learning Center — dubbed by school officials as the “TLC” and made up of temporary buildings — is nearing completion, with plans for students and staff to report to that location on Jan. 8, which is the first day of the spring semester. 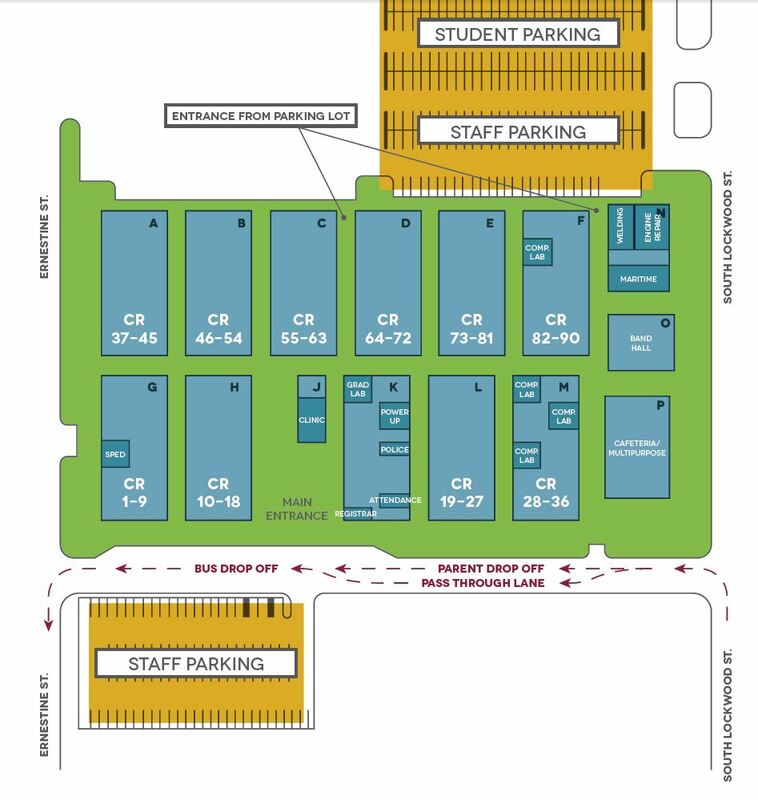 The temporary campus was built to ensure student and staff safety during construction. It is located along South Lockwood Drive, directly behind the existing school building. This entry was posted in 2012 bond, 21st century schools, District VIII - Diana Dávila, High Schools, New schools and tagged 2012 bond, Austin High School, Austin HS, BuildHISD on November 17, 2017 by HISD Communications. 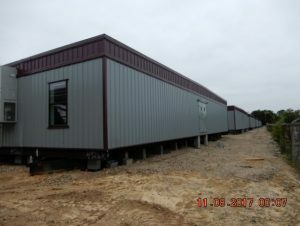 A temporary campus will begin to take shape this summer just across the street from Austin High School as crews begin installing modular buildings to accommodate students during construction of their new school. This entry was posted in 2012 bond, 21st century schools, District VIII - Diana Dávila, High Schools, New schools and tagged 2012 bond, Austin High School, Austin HS, BuildHISD on May 24, 2017 by HISD Communications. More than 300 students, staff and community members gathered at Austin High School on Tuesday to get an update on plans to rebuild the 80-year-old school and a first glimpse at what the new facility could look like. Plans for the campus include modern, open spaces allowing for lots of daylight, better traffic flow in and around the campus, clusters of classrooms to allow for a neighborhood learning concept, and a new, defined entry off of Jefferson Street. This entry was posted in 2012 bond, District VIII - Diana Dávila and tagged 2012 bond, Austin HS on May 11, 2016 by HISD Communications. Completing this year’s FAFSA on time paid off big time for two high school seniors who were the surprise recipients of a $500 scholarship on Friday. The HISD College Readiness department made two surprise visits to award checks to Belen Mendoza of Austin High School and Ashley Guzman of Energized for STEM Academy, Inc. High School West Campus. As a part of this year’s HISD FAFSA Initiative to increase TASFA or FASFA application submissions, names of every student who completed their TASFA/FASFA by HISD FASFA Day on March 3 were randomly selected from a drawing. This entry was posted in College Readiness, District V - Sue Deigaard, District VIII - Diana Dávila, High Schools, News and tagged Austin HS, Energized for STEM Southwest on April 6, 2016 by HISD Communications.